Order of Battle – military turn-based strategy, the events of which unfold in the Pacific theater of operations during the Second World War. In the game you will find three dynamic campaigns on the side of the Alliance, led by the United States, and on behalf of the Japanese Empire. In the Order of Battle: Pacific there are more than 500 unique units available, including infantry, tanks, ships and airplanes, 20 different specializations, a world rich in animation and 3D effects, various game modes and much more. At your disposal more than 700 unique units. 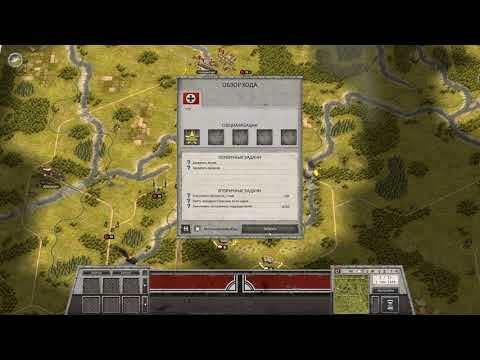 You can create and manage your army, fleet and air force in all campaigns, in various theaters of war during the Second World War. A unique system of specializations allows players to tune their strengths using special abilities, which are different for different strategies and factions. Different command units (division between generals, pilots and captains) are gradually unlocked in campaigns. They can be tied to specific units to provide unique abilities in their command range. At the same time, the use of various types of vehicles and certain tactics remains the player’s priority; clever use of commanders can change the balance in an offensive operation or gain enough time in defense to turn the course of the battle in your favor. The unique supply system also plays a key factor that directly affects the combat effectiveness of units. Landing on an enemy island without any auxiliary ships will not allow the invading troops to build a strong springboard and destroy your enemy’s supply lines, isolate his units and carry out environmental maneuvers – these are the strategies necessary to achieve a final victory. 2. Copy the contents of the folder PLAZA in the folder with the game installed, replace.